Access Online is an economical and convenient way to get training in Electric, Plug-In, Hybrid, Fuel-Cell, Autonomous Vehicles and more. By participating in an Access Online training course you are receiving live instruction from a Vehicle Electrification expert, as well as receiving instruction materials, graded testing, and a certificate of completion upon successfully passing. Automotive service professionals at all levels of the industry can get the training they need from the comfort of their home or workspace! Check out the online training schedule below. Click on each section to see course overviews, dates, and times that are available for instructor-led training. Schedules are updated quarterly, so be sure to check back here or sign up for updates to know when new training sessions are scheduled. 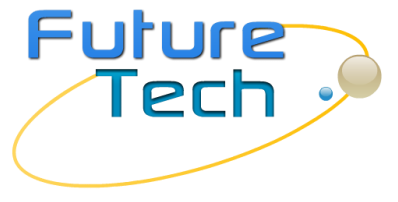 Contact us or email accessonline@futuretechauto.com if you have questions or comments about this (or other) online training courses. 3-Phase PM Motor-Generator units are the predominant technology used in Hybrid and Electric Vehicles such as BMW, GM, Honda, Hyundai, Lexus, Nissan, Toyota and others. This series is critical for technicians as a foundation in understanding PM technology enabling them to effectively apply diagnostic techniques and service these units. A technician should have a firm technical understanding of how the PM technology creates and transfers propulsion, regenerative braking and zero torque modes to the powertrain. This series will provide the technician with significant information on PM operation and lay a foundation for how diagnostic techniques applied in a later series. Some Scan Tool and diagnostic concepts will be discussed in this course. This course should be a prerequisite prior to attending the Analyze, Test & Diagnose 3-Phase Hybrid & Electric Vehicle Transmissions & Drive Units series.